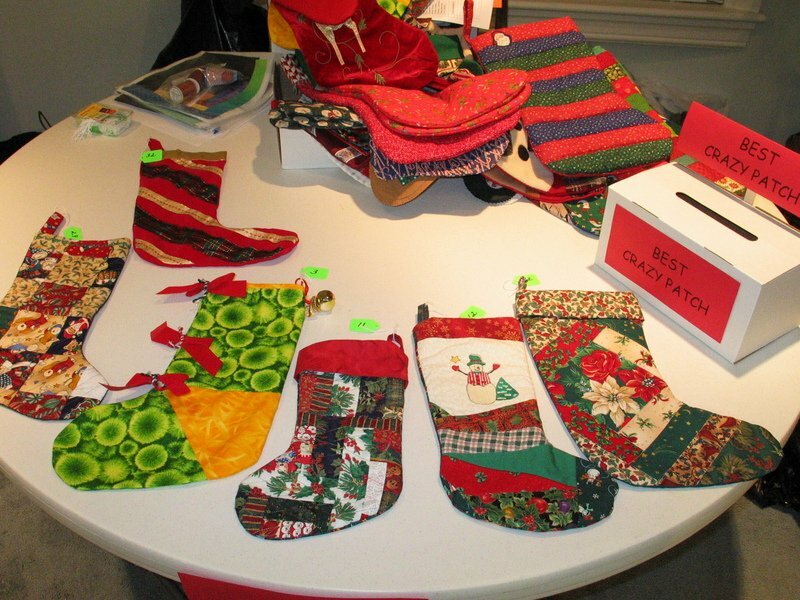 Guild members make quilted stockings for organizations in the area that help families during the holiday season. 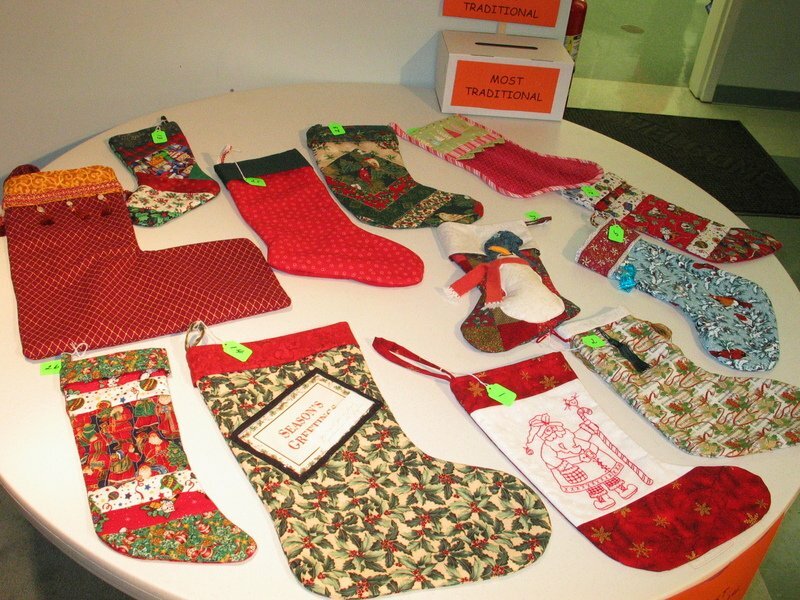 The stockings are used for small gifts for the children in the families and in some organizations by the children who are given an opportunity to 'shop' for their parents. Stockings are collected throughout the year and distributed during November and December. The pattern for these stockings is very simple, just ask for a pattern at any guild meeting. You can also google Christmas Stocking Patterns and will find a variety of tutorials on the web. Here is a link for one example of a quilt-as-you-go scrappy stocking from Little House Living. Many tutorials have a pattern of a stocking but you can draft your own to customize the size. Notice in the photos that sizes vary. Have fun with embellishments, fabrics and fun stitches on your sewing machine. What a wonderful way to have a positive impact on someone's holiday. For additional information refer to the coordinator listed on the contacts page.